Our engineering team works closely with customers in determining the best tooling to support short and long-runs. We put a premium on collaboration, and we believe that by pooling the ideas of our talented staff, we can design a highly reliable product. 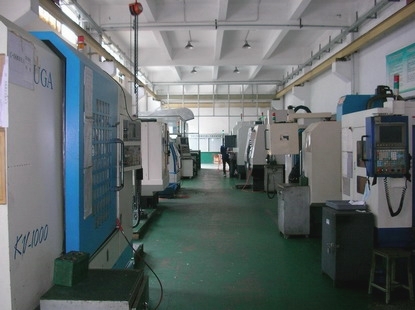 We utilizes modern CNC department, which is fully capable of CNC tooling for a variety of parts and products, in creating molds to maximize the efficiency of our manufacturing operations. By streamlining our processes, we aim to create more value for our customers, especially with regard to time and cost savings. We stand by the highest quality standards in order to create just the part you need for your project or application. Our quality and manufacturing operators utilize modern inspecting facilities to verify dimensions, alignments and clearances. This approach gives ARGO the capability to save time and costly production mistakes, which allows us to deliver a better quality part while reducing the manufacturing time, providing you with cost-effective solutions to your design and production needs. Having been in the business of manufacturing for more than 10 years, we've honed our skills, adapted to innovations, and acquired special technology to better serve our customers. We cater to the unique and often complex needs of those in demanding industries, from medicine, to automobile, to communications, and electronics, among many others.